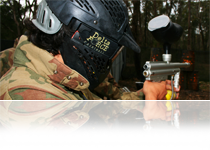 There are many reasons why Delta Force Paintball is the world leader in paintball. 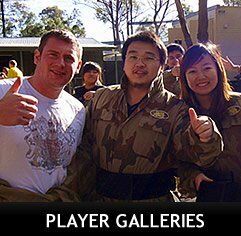 One of those reasons is our high standard of paintball equipment that we provide for all players when they come to Delta Force Paintball Newcastle. We strive to maintain the highest safety standards at our centres, and we have a 100% safety record to prove it. Delta Force Paintball customers are offered the latest “US-Spec full paintball goggles”. These goggles are offered in full and half mask for your comfort, and are fog resistant. Play with freedom in goggles that will not only protect your eyes, but your entire head. 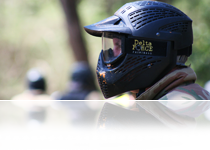 All Delta Force Paintball customers are offered a full-body combat suit. These custom-made suits are designed to help you camouflage, as well as stay safe while playing at our Newcastle location. If the idea of paintballs coming towards you is a bit scary, we recommend our body armour. 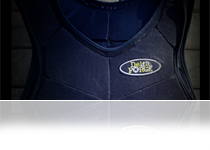 Our custom designed body armour is offered to all players free of charge, and will minimise the impact of paintballs. 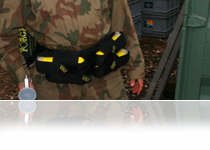 Our combat suits are fitted with protective, padded collars. Along with the full body suit and paintball mask, your entire body is protected from potential paintball shots. 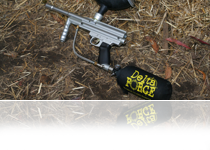 Delta Force Paintball stocks the 0.68 calibre Inferno Paintball Marker. The Inferno is a rapid fire paintball marker that has a high degree of accuracy and speed, which is required when you are battling it out in an intense skirmish. The aim of the game: win, and don’t run out of ammo first! 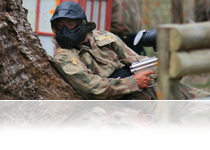 With our battle packs, you are protected from running out of paintballs in a crucial moment. Our battle packs can carry 400 paintballs in any one time, so you will be sure not to run out of ammo when coming up against a trigger-happy paintball warrior.